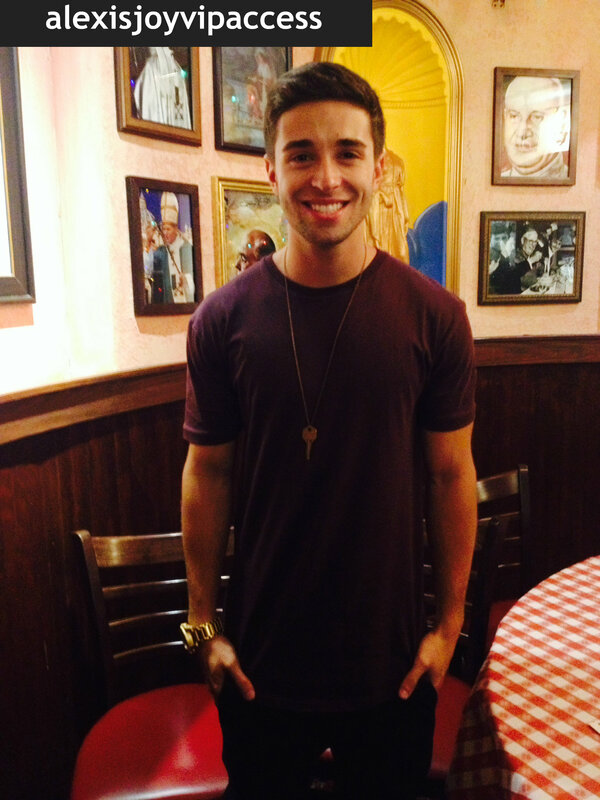 VIPAccessEXCLUSIVE: Phenomenon Jake Miller Exclusive Interview With Alexisjoyvipaccess At Planet Hollywood, NYC! When you entered in the hectic streets of the Big Apple, NYC yesterday, August 6, 2014, you may have noticed something different about the “City That Never Sleeps”… Perhaps the fact that it was even more busy and chaotic than it normally is (Is that even possible?). Walking through the heart of NYC – Times Square you would’ve seen thousands and thousands of excited and screaming fans waiting online to meet the world’s biggest and greatest sensation… Jake Miller. With hit songs like “Collide”, “First Flight Home”, “A Million Lives”, “My Couch” and many more – Jake Miller has already established himself as a household name. The Warner Bros. Records signed artist has had his songs played on almost every radio station you can name and has had his music videos played on MTV and many stores and restaurants you walk in to. Jake Miller is also a familiar name at the number one spot on the iTunes charts and on each tour he embarks on he always winds up with multiple shows being sold-out. The pandemonium that this incredibly talented singer / rapper has caused through his phenomenal music is not able to be described in words; and since words aren’t enough to describe how terrific the humble and charming Jake Miller is… the 4,000 fans waiting to meet Jake Miller at his Planet Hollywood, NYC meet and greet will definitely fill in what words can’t convey. I, Alexisjoyvipaccess had the honor of interviewing the exceptional Jake Miller at his Planet Hollywood, NYC meet and greet. The remarkable Jake Miller dishes exclusively to Alexisjoyvipaccess all about his “First Flight Home” music video which debuted today on MTV, what his reaction was like when he heard his song play on the radio for the very first time, his upcoming projects and so much more only in our VIPAccessEXCLUSIVE interview! Jake Miller even tells Alexisjoyvipaccess what it’s like for him being able to meet and connect with fans at spectacular events like his Planet Hollywood, NYC meet and greet. Find out his answer to that and more in our VIPAccessEXCLUSIVE interview. Thank you for the extraordinary interview, Jake! Follow Jake Miller on Twitter: @JakeMiller and on Instagram: @JakeMillerMusic / “Like” Jake Miller on Facebook: https://www.facebook.com/JakeMillerMusic / Subscribe to Jake Miller on Youtube: http://www.youtube.com/user/Millertime2892 / Visit: http://www.jakemiller.com / Check out Jake Miller’s music on iTunes! Visit Planet Hollywood at Times Square, NYC! Previous VIPAccessEXCLUSIVE: Singing Sensation Jake Miller All Smiles As He Meets Fans At Planet Hollywood, NYC – EXCLUSIVE PICTURES HERE!